Who says Sony is targeting teen girls? 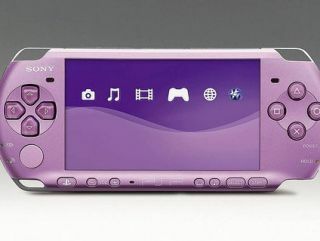 It's the news that you've been waiting for – not only is the PSP-3000 about to arrive in Lilac Purple, but it will also come bundled with Hannah Montana: Rock Out The Show. Sony' latest play for the tween market sees the newest hue for its portable console, one that is sure to appeal to the female market, matched with one of the world's most recognisable teenage girl brands. "As girls spend as much time listening to music, taking and editing photos, watching movies, chatting with Skype, surfing the net and playing games with their friends as boys do," says Isabelle Tomatis, European Marketing Manager, SCEE: "we thought it was about time that they had their own colour of PSP – and we've styled this one up just for them." Although it is still scrabbling to compete with the popular Nintendo DS, the PSP has been given a new lease of life by the continued pairing with the PS3. The addition of a new PSP – the PSP Go – announced at E3 is meant to complement the current PSP-3000 with the UMD slot, and the original PSP.